NEW YORK, 24 MAY 2018. 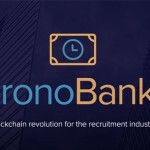 ChronoBank, a cutting-edge global HR startup, announces the launch of LaborX, the first complete blockchain-based job platform in the world. A key part of ChronoBank’s HR ecosystem, LaborX gives job seekers and companies the tools they need to transact quickly, safely, and easily in crypto. With its sleek design and integrations with ChronoBank’s multi-currency wallet (ChronoMint) and decentralized exchange (TimeX), LaborX becomes one of the first blockchain apps ready today for mass adoption. LaborX will immediately revolutionize hiring. Using an immutable reputation system, smart contracts, and a transparent token marketplace, job seekers will increase their hourly rate and avoid the payment delays and disputes that they’ve long suffered. Companies benefit from an exciting new talent pool of global workers, digital nomads, and crypto enthusiasts that they can trust without having to invest in expensive and slow screening systems. Both parties enjoy substantial cost savings: LaborX’s technology lets it charge only a 1% platform fee, compared to the 5-20% fees that other products today charge. "Over the last 12 months, our team of industry veterans set out to create the world’s most complete, blockchain-powered HR ecosystem," says Sergei Sergienko, ChronoBank CEO, "LaborX is a key part of that promise. It has all the advantages of blockchain technology, but can be used by anyone, regardless of technical expertise. We project 1,000 companies and 100,000 users will sign up for LaborX by year's end, saving them approximately $45 million per month." LaborX is used today by established companies like Edway Training and DGTek with many more in the pipeline. LaborX introduces many industry-first features like continuous payments, an immutable reputation system, and the ability to hire from groups that are traditionally unavailable, like digital nomads, crypto enthusiasts, and the unbanked. LaborX tokenizes work hours, meaning you can sell your time at the best possible market rate and decide how many hours you wish to work every week, to create a perfect work-life balance. LaborX makes it easy for companies to pay job seekers in crypto, which opens up the hiring pool globally, to the new-generation of crypto digital nomads, and to the unbanked in the developing world. Payments will be processed with stable LH token in order to avoid the volatility and fluctuations of cryptocurrencies. 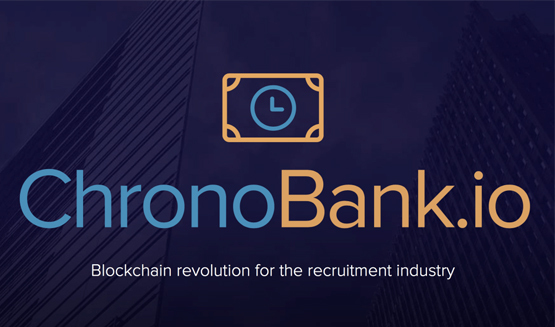 ChronoBank is reimagining hiring for the blockchain age. 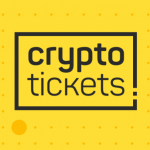 Founded and based in Australia following its successful token sale of 5,400 BTC in February 2017, the company has developed the most sophisticated blockchain-based hiring ecosystem in the world. ChronoBank is led by a seasoned executive team with deep domain experience in HR, banking, and fintech. 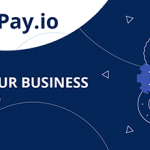 It boasts one of the strongest technical and design teams in the blockchain world and is well-funded to innovate in all sectors of HR, from hiring to workers compensation to lending to insurance. LaborX is the leading blockchain-based recruitment marketplace. It is a complete platform that connects companies and job seekers and lets them transact quickly, safely, and easily in crypto. Using LaborX, job seekers can maximize their hourly rate, avoid payment delays and disputes, and work from anywhere in the world. Companies benefit because of LaborX’s proprietary reputation system, which grades and immutably records freelancer performance on the blockchain, saving them from a costly screening process. Companies also get access to new types of workers: digital nomads, crypto evangelists, and the unbanked. LaborX offers dramatically lower platform fees (1% vs. 5-20% from traditional platforms), resulting in a savings of $450 per month per freelancer. LaborX is projected to reach 1,000 companies and 100,000 users by year’s end. © 2018 bit.news | queries 231, for 0.167 sec.